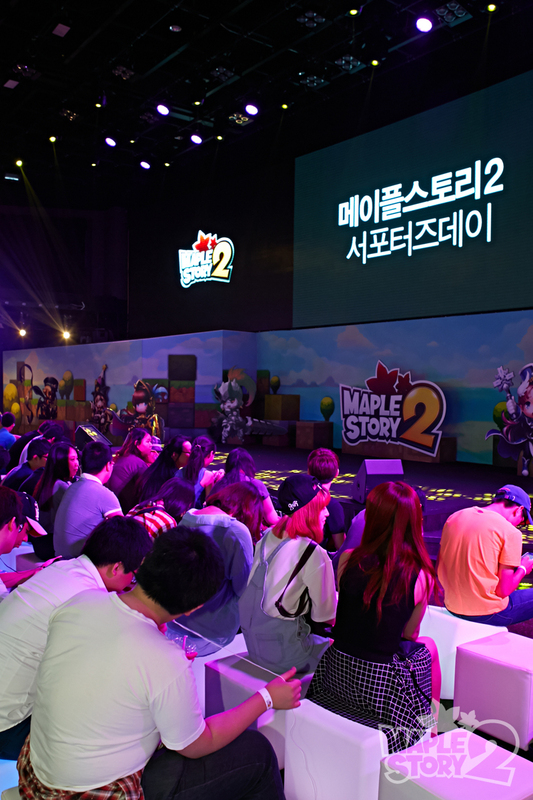 Home > MapleStory 2	> MapleStory 2 – Supporters’ Day Overview! 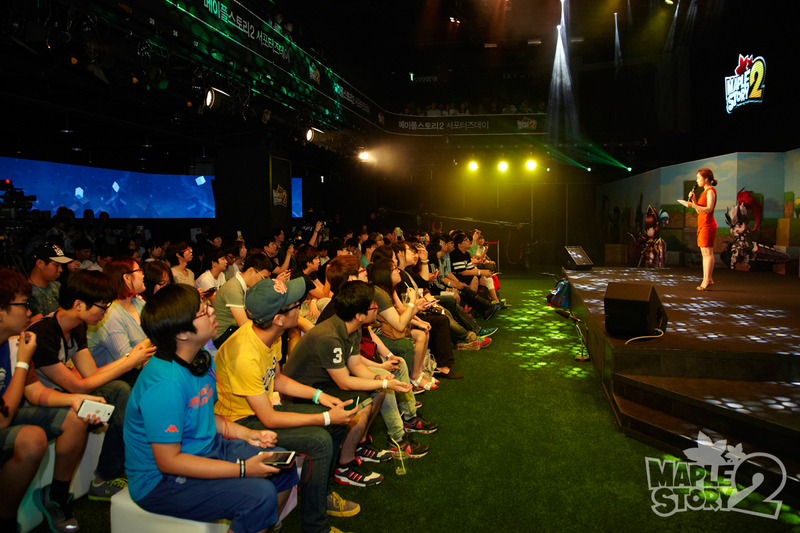 MapleStory 2 – Supporters’ Day Overview! 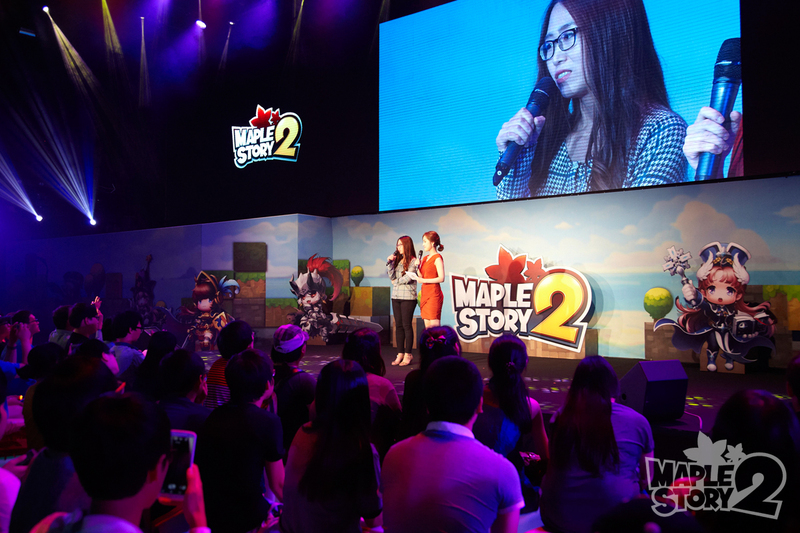 A few new things have been released on the MapleStory 2 website, including a new Q&A as well as a video that gives an overview of what they revealed at Supporters’ Day! Read on for more information! By the way, if you haven’t already checked, I updated my last post with high quality images a few days ago! This post was by Im Yojeong, and it talked about how Supporters’ Day went great and how he wanted to thank everyone for coming and being so enthusiastic. There’s also a bunch of pictures he attached! Haha even the seats were blocks. Next up was a Q&A done by Nemi! Today I will be answering some questions that people sent in before Supporter’s Day, which I promised I would answer. I have chosen a few that were asked the most to answer. Q1. When can I play MapleStory 2? 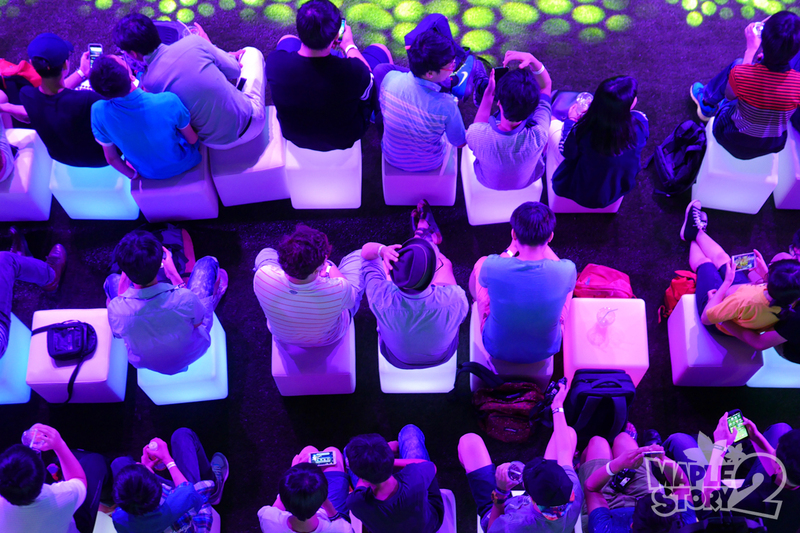 Our goal is to open the first CBT in 2014. 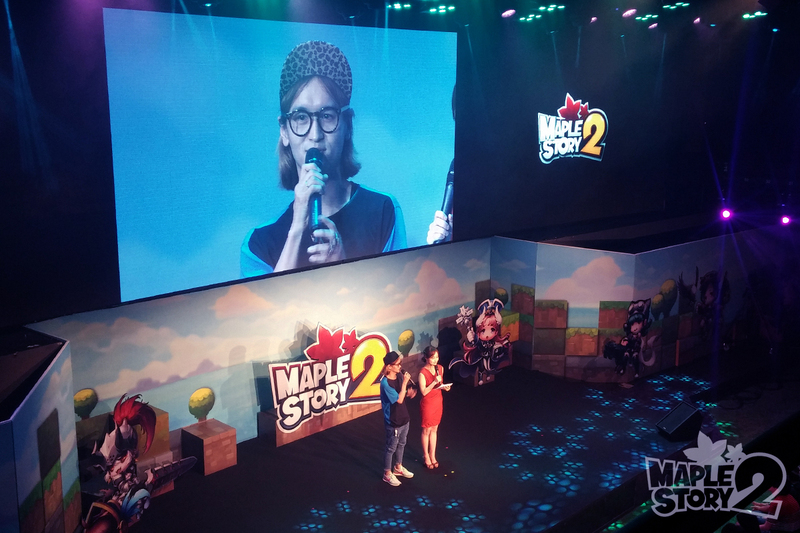 Please wait so that we can deliver to you a more complete MapleStory 2 to have the most fun. Q2. Will CBT be open to only those who have been selected as supporters? No. In addition to supporters, we plan to choose as many people as possible from the official website, Facebook, and a variety of other channels. Q3. Why are all the illustrations females?? Are there any male illustrations?? This was purely due to our team leader, Im Yojeong’s wishes. There are also male illustrations and they will be available at a later date. 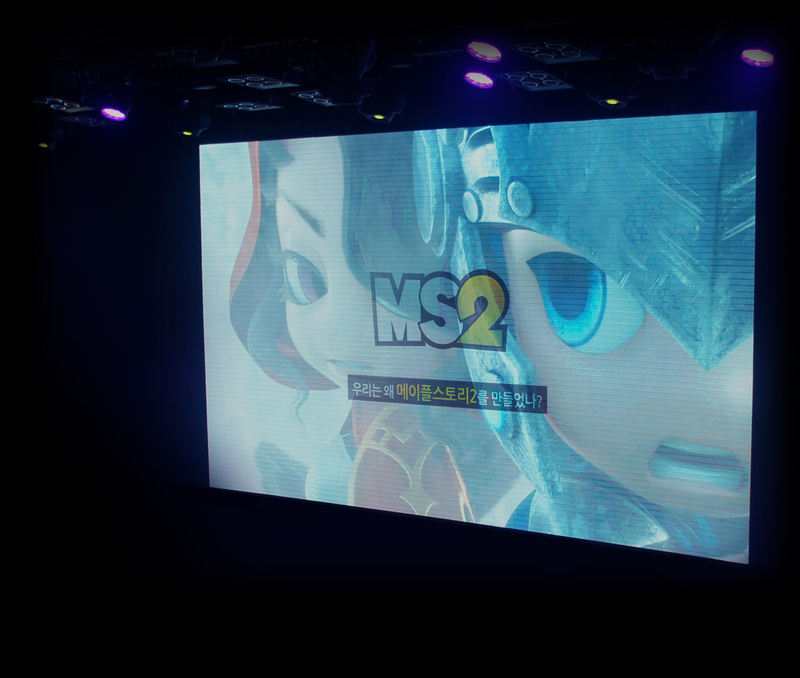 Today we have also released a MapleStory 2 Development Overview video. We are going one-by-one so please expect more information in the future. I guess everyone wanted to know why there were only female illustrations haha. 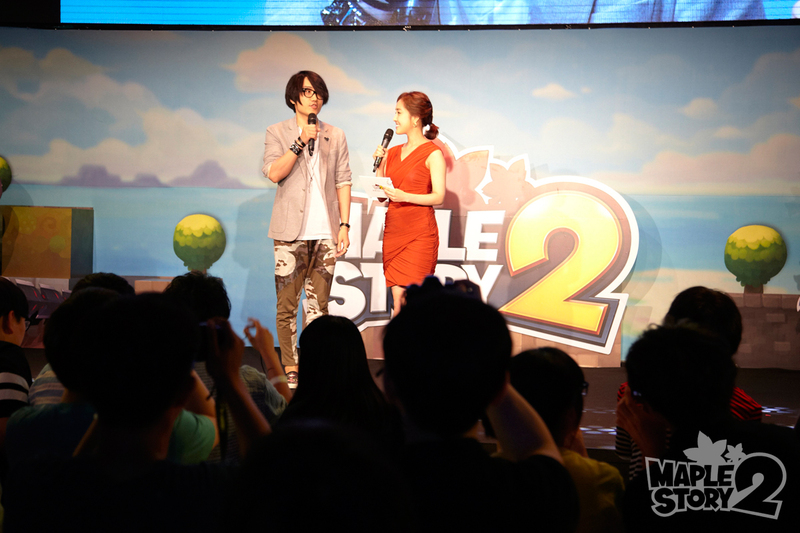 Finally, they released a video titled MapleStory 2 Supporters’ Day #01 Overview. It goes over a lot of the information they covered in Supporters’ Day, but more in-depth. MapleStory 2 is MapleStory’s sequel. When you think of MapleStory, what comes to mind is a side view, pretty and cute dot (pixel) graphics with various jobs and special costumes. When creating the sequel, we wanted to take over all these things from the original MapleStory. However, since this game is in 3D, we must choose some things to leave out, in addition to bringing lots of features. The first things we talked about were jumping and ladders. 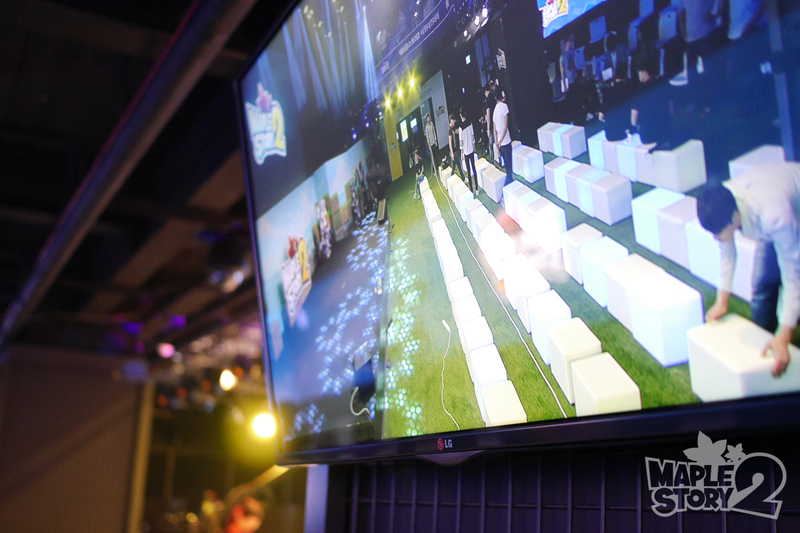 Sun Min Seok (programming team leader): At development, we thought about how to make free terrain with jumping. Through various attempts, we found a good way to affect the level of difficulty of an area. 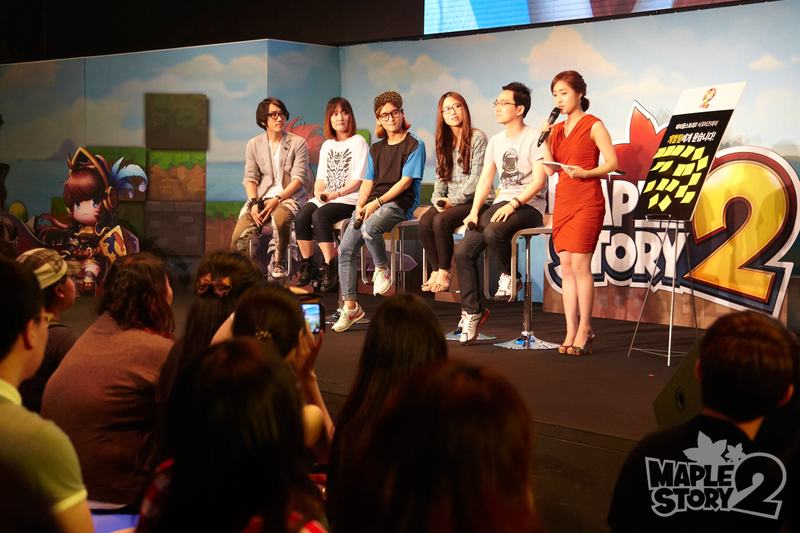 Oh Mi Yeong (game design team leader): First we established how high a character can jump. Then we started creating terrain to match it. By standardizing the height of steps and ladders, our goal of free movement through terrain for characters went well. Im Sungyik (character design team leader): Next, we started to clean up maps and I wanted to make use of the concepts of standardization of height, like creating lands with heights based on the character. We at design were able to think of a lot of more things in the game. Ha Juhyun (background design team leader): The most difficult part was creating maps with a variety of different concepts with the standardized design. MapleStory’s sequel needed to have a variety of ways to move. With the new block structure, it created many possibilities. A simple game and keyboard navigation are features that you cannot leave out. For those familiar of playing the original with a keyboard, we wanted to provide the same way. A mouse is not very Maple, is it? Above all, one of MapleStory’s most important features is the cute and pretty graphics. 3D was something new. In dot graphics, there are many constraints on how you can express something realistically. And for 3D, I didn’t want to just make MapleStory characters appear in 3D. Being able to wear crazy costumes helps MapleStory have a colourful open world. Medieval armor-clad warriors and thieves wearing hip-hop pants and sunglasses together is not strange for a game like MapleStory. 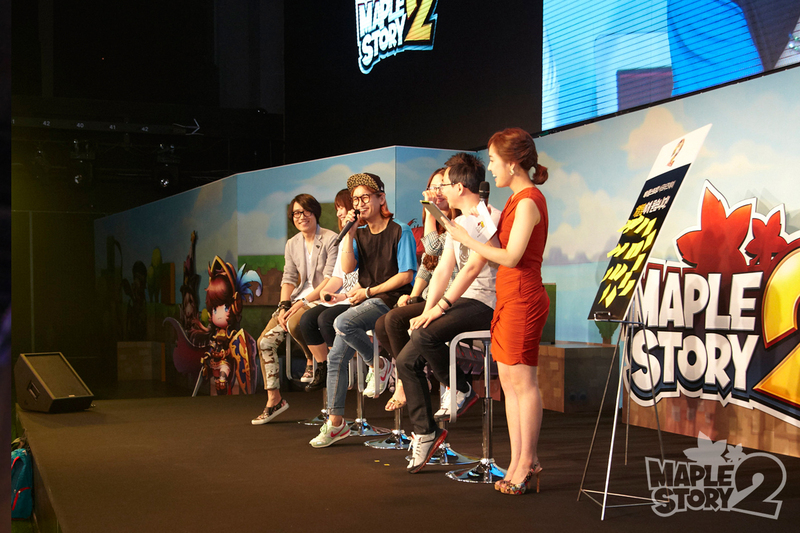 The developers wanted these special features of MapleStory to continue in the sequel. 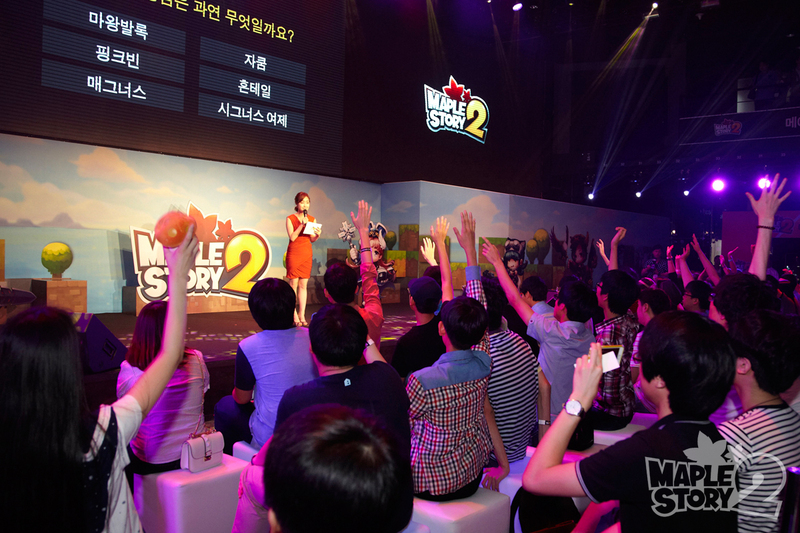 For MapleStory 2, we selected a quarter view. The original was a side-scrolling game and we did not want to just make it 3D. After some tests, we decided quarter view was the best fit. The character movement and cool action was very visible. In addition to jumping and ladders, we experiments with more ways of free movement in MapleStory 2. 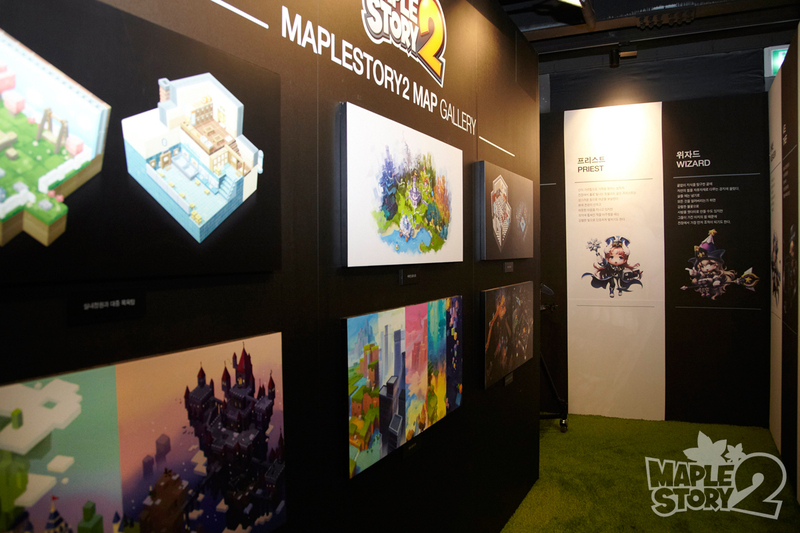 We have filled MapleStory 2 with several new concepts. STOP TRYING TO MAKE MAPLESTORY 2 HAPPEN,IT’S NOT GONNA HAPPEN! So very hyped for MS2! Maybe I have a chance to get into the closed beta…. Good.. good.. and yes I too thought it would be “prequel”..
when i 1st saw the vidoe in ms2 web i thought u can make any viewing mode(not knowing korean) now i knew its only quarter view i felt lil disapointed…. According to the game-play videos the camera might change from Quarter, to Side View to Console, depending on the map. It might be the default, but I’m pretty sure different maps and angles will keep the game interesting. From what we observed there’s no aim needed for skills. Attacks seem to be based on a set amount of block hits. The best example being the priest with the glowing cross pattern. I feel you’re upset about the quarter view, but considering this hasn’t even hit BETA I’m sure the testers will polish out the camera controls, before it even hits Open. Hopefully they let you change the camera angle in the settings. hahaha their team leader is horny. No he or she, I don’t know, did it because it would sell. Besides were getting the male counterparts anyway. But anyway, he is just some lolicon lover. But to most gamers, whom are usually almost 100% male, females art styles usually grab them to try the game out. It just makes them want them to play the game just to see if the graphics are exactly like the game promises to be. Best example is Scarlet Blade. =/ Sadly they game is all about the… You’ll know once you check it out..
pardon me you rude bigot, I am 26% female, 53% male, and 21% slime. l-l-loli? have you not actually looked at those chara arts? the hips! the breasts! the thighs! the junk in thief’s trunk! even putting aside the whole “giant heads, giant hands, nobody has a nose” aesthetic of maplestory, those are most definately not “loli” characters. queen’sscarlet blade is PVP crap wrapped in silicon(e) sisters to try to get you to be interested. five minutes of play tends to dissuade you though, because it’s just… so little effort. and everyone looks to be made of glossy plastic, which is really awkward. and at any rate, you are overlooking a simple marketting truth. attractive males only appeal to straight women and gay men, but even straight women and gay men can appreciate a pretty lady. Yea because their gameplay are exactly alike in every way. Woah… I caught a fish, i named u Agony. Welp I guess that’s what I get for not paying attention to your name..
Hmm not a fan of teh blockyness but ill give it a shot when it comes out. I also have to say that Max is right from his last post if you havent tried League of Legends, you should try it, its a lot of fun. The cubes do have practical use you know. I don’t get it… If Maplestory 2 takes place in a time before the Black Mage… How the heck does Henesys, Ellinia, Perion, Kerning City, and Lith Harbour exist…??? These towns and cities were created after the Final Fight with the Black Mage. Athena Pierce and others evacuated to Victoria Island and started camp. Thus they began to settle in and mark the foundations of the towns. kMS ver. 1.2.217 – Frozen! 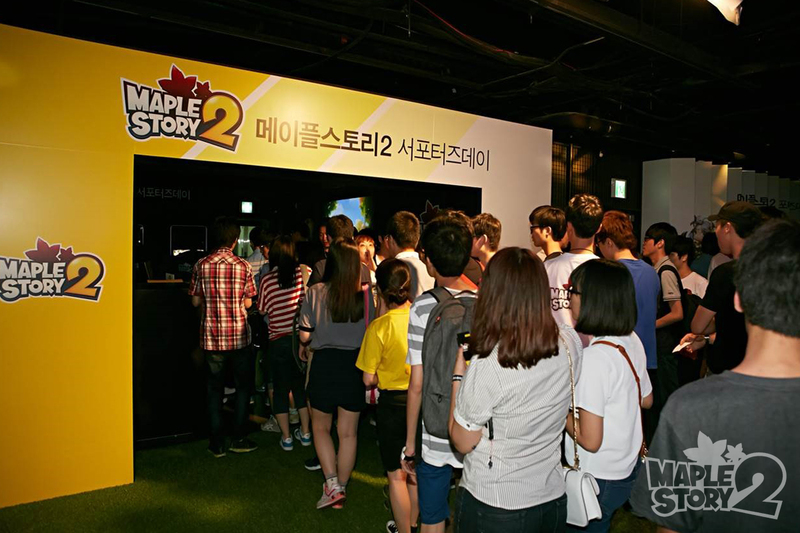 MapleStory 2 – Supporters’ Day!